Australian government financial intelligence agency Australian Transaction Reports and Analysis Centre (AUSTRAC) has approved a license for Australia’s first insured cryptocurrency exchange, Blockbid, to legally operate as a digital currency exchange in Australia, according to a press release CoinReport received from Blockbid’s PR firm, Stature PR. The cryptocurrency exchange is just the third recipient of an AUSTRAC license. 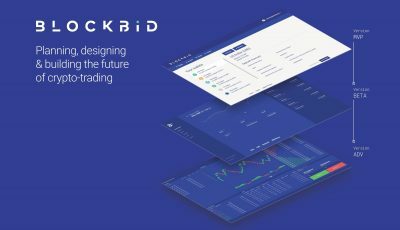 Blockbid said in the press release it aims to offer the most comprehensive offering of digital currency on one single exchange platform while charging a fixed, extremely low transaction fee of 0.1% and protecting users by insuring them against any potential cyberattacks. Moreover, the exchange said that during its upcoming beta launch, it will offer users the ability to trade with four different fiat currencies, while at least seven more fiat currencies will be made available in the next 6-12 months. All these features together, said the Australian crypto exchange, offer a more complete exchange than the last two AUSTRAC licensees, and in fact than any other digital currency exchange anywhere in the world. The MVP beta launch will commence with a set number of users, who at first will test the platform without trading real currency. Serving as a testing session, this phase will last until Blockbid developers and userbase are finally content with delivery. 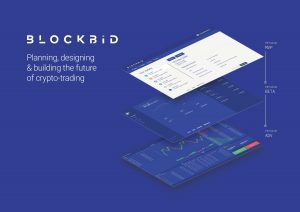 Then, the platform will be tested more, and Blockbid will apply patches and carry out the subsequent phase of design and user interaction, based on user feedback. After systematic and detailed testing throughout the above two phases, stage one of the beta launch will open to general public, at first with leading cryptocurrencies and fiat currencies, with digital currencies being bitcoin (BTC), bitcoin gold (BCG), bitcoin cash (BCH), ripple (XRP) and litecoin (LTC) and fiats being USD, Euro, JPY and AUD. Finally, further digital currencies will be introduced for the second phase of the beta launch. 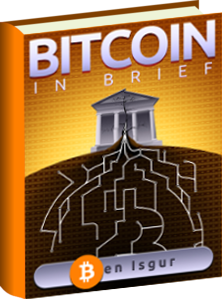 They include ethereum (ETH), NEM (XEM), dash (DASH), nano (NANO), DNotes (NOTE), bytecoin (BCN), fincoin (FTB), nexus (NXS), cajutel (CAJ), iconomi (ICN), ASTRcoin (ASTR), jetcoin (JET), trezarcoin (TZC), lanaCoin (LANA), unify (UNIFY), I/O Coin (IOC), tajCoin (TAJ), fujicoin (FJC), NETKO (NETKO), bitether (BTR), unitus (UIS), digibyte (DGB) and Decision Token (HST). Blockbid’s full-scale launch will take place in 2019.